A unique blend of organic composted material, coir fibre, screened horticultural ash, slow release fertilisers, zeolite, fish & seaweed extract, gypsum, lime, iron, natural rock trace elements and a natural wetting agent. Simply the best premium potting mix available on the market. Katek Superior Blend Potting Mix is a blend of premium quality, well composted organic materials. Suitable for most indoor and outdoor plants, ornamental and flowering plants in both small to large pots, containers, outdoor garden beds and hanging baskets. Includes Water Saving Crystals for excellent water retention and added fertilizer with trace elements for successful growing requirements. Contains no animal products. A premium potting mix containing a special blend of selected organic ingredients. This organic potting mix is boosted with: 5IN1 Organic Plant Food Pellets, SeaMax Fish & Kelp, Blood & Bone, Potash Bloom Booster. This premium blend of organic and natural ingredients is designed for sustainable and organic growing of potted plants. This mix has excellent water retention properties while also allowing ideal drainage, providing the right conditions for your loved plants.This mix contains sufficient fertilisers for up to 1 month of plant growth. Perlite is a white siliceous volcanic rock which makes a super light weight, sterile potting and seed raising medium. Clean, easy to handle and lasting indefinitely it provides excellent aeration, drainage, water retention and insulation against temperature fluctuation. Vermiculite is a hydrated Magnesium Aluminium Silicate, it is light weight, inorganic (incombustible), compressible, highly absorbent and non-reactive and is used in potting soils and seed raising mixes. It is ideal for the germination of seeds because the aeration properties combined with its water holding capacity makes it a superb medium for direct contact with the seeds. 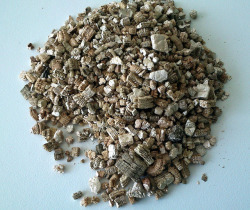 Vermiculite can be used as a soil improver. When applied to an outdoor seed bed it will give improved emergence and less risk of capping. Searles Garden Soil Mix is an excellent blend of composted ingredients including real organic compost, organic animal manures, rainforest mulch and leaf mould, washed river sand and high quality loam. The end product is ready to use in garden beds and landscaping jobs, for building up existing gardens beds, breaking up heavy clay soils or improving sandy, deficient soils and very importantly, adding valuable humus. It has very good moisture holding capacity, making it very suitable for our climate. It also contains a rich source of essential nutrients, trace elements and provides storage of nutrients for strong plant growth and development. It releases nutrients for instant plant growth and also provides a storehouse of reserve available nutrients for prolonged plant health and growth. During its special composting processes, humus and humic colloids are formed, as well as humic acids and humins, which all combine to increase plant health. Certified to AS 4419 for Organic Soil. BFA Certified organic to recognised Australian and worldwide organic standards. Promotes plant, flower and vegetable growth. Contains organic manure plus Real Organic Compost. Helps retain soil moisture and nutrients to assist in plant growth. pH balanced between 6.0-7.5 units. Encourages microbial and earthworm activity. Helps break up and aerate heavy clay soils. Helps build up deficient sandy soils. Adds valuable long life humus to the soil, stimulating greater plant health. Active 8 is a well-balanced soil improver and planting mix designed for the home gardener to plant directly into with no fuss. Active 8 contains a rich earthly blend of organic compost, composted chicken manure, composted cow manure, blood and bone, gypsum, fish meal, seaweed extract, iron, zeolite, trace elements and humates. This ensures your plants are healthier, producing brilliant colour and increased yields. All of these ingredients combine to create a balanced nutrient rich growing environment to ensure spectacular growth. Active 8 can be used on all types of garden beds, but is specifically designed for preparing vegetable gardens. It can also be used as a planting mix for veggies or other trees and shrubs. Helps build up deficient, sandy soils. Adds valuable long life humus to the soil, activating greater plant health. Australia’s premium garden mulch. Discover what Australian farmers have known for years about this nutrient rich legume mulch and the added benefit it can have to all gardens including roses, vegetables, fruit trees and other flowering plants.Only the highest quality Lucerne goes into creating this easy to use pack designed specifically for the home gardener. It is environmentally friendly, made from unused products left after the Tea Tree Oil making process. Tea Tree Mulch is a beautiful, dark, rich coloured mulch which will enhance the look of any garden. It also has a fresh and fragrant aroma. This nutrient rich mulch goes above and beyond all other mulch products. It works like a normal mulch to keep weeds under control and conserve soil moisture but because it is poultry manure enhanced, it is also rich in nutrients. A mulch with benefits. Great for landscaping, garden beds and around trees. We recommend spreading it around 40mm deep, keeping around 100mm away from the base of any plants.